Compiling a list of 20 favorite songs from most artists would be no problem, and many barely deliver enough choices. Bruce Springsteen is something else entirely for me. Tracks might rank below the top 50 yet still are favorites that I can’t wait to hear. Popular singles like Hungry Heart and Radio Nowhere didn’t make it, and even such thrilling deep cuts as Thundercrack and Back in Your Arms fell short. Where could they fit in such a short list? It’s difficult for me to separate studio versions from the live performances, so these picks are impacted by how they play on stage. That’s where Springsteen really shines and finds new ways to enhance familiar tunes. Despite the challenges in formulating this list, it was a blast to give a close listen to so many classics while preparing it. 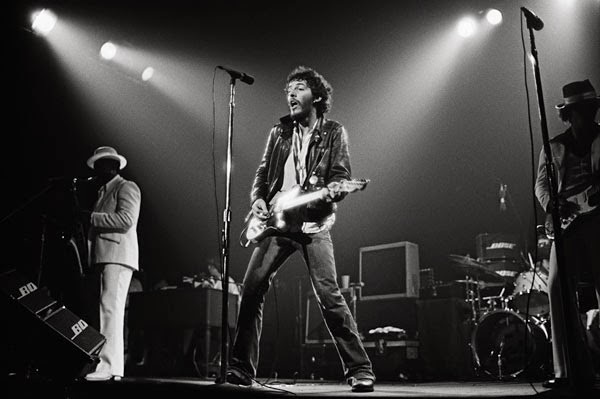 Despite having great success with the reunion tour, Springsteen hadn’t released a true studio album with the E Street Band since Born in the USA. This song was a signifier that he wasn’t planning to ride the wave and just play the hits on tour. I grew a bit weary of all the 9/11 connections after the album arrived in every news story, but the title track remains one of the more powerful songs from his latter career. One of Springsteen’s early live scorchers, Rosalita still packs quite a punch in the live setting. It’s a classic party song that captures the essence of what made their ‘70s shows so incredible. 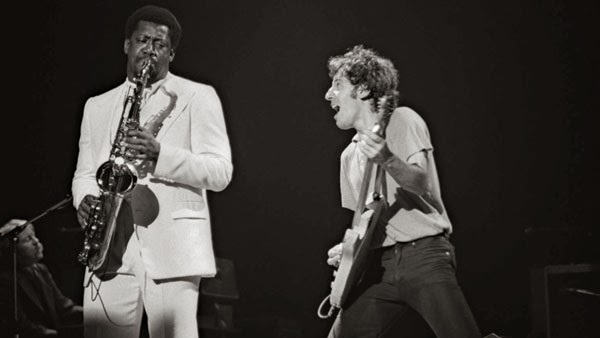 Clarence Clemons’ saxophone joins the guitars to take the journey towards greatness in love, or at least with the record company. If hearing this tune doesn’t make you want to dance, you have no soul. On a different note, this ballad is another epic from 1973 with great emotional depth to it. There’s an intense sadness to the story, yet the characters retain hope that something better can happen. They’re heading out in the streets to figure it out, one way or another. Beyond having lyrics with the name “Danny Heaton”, this song makes the list because it works so well in its very different studio and live forms. The original from The Ghost of Tom Joad is spare in the vein of that album, but it comes alive on stage. It was a staple of the reunion tour, and the blistering solo at the end is always a highlight. This pick is totally about the live performance, which brings such ferocity to a song that came to prominence in a different variation by the 10,000 Maniacs. 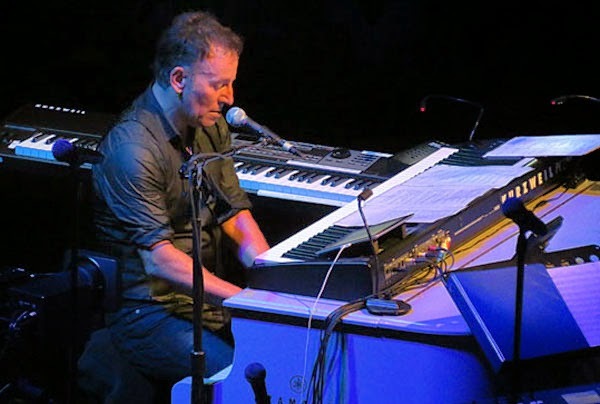 The piano opening sets up the rousing chorus that remains one of Springsteen’s most emotionally charged songs. It also includes yet another killer solo, which gives Nils Lofgren a chance to really shine. This is one of Springsteen’s most melancholy songs about a guy who’s lost his love. The character’s willing to do anything to get back with his girl, and the imagery conveys that desperation. Another great Clemons solo supports this mood and delivers quite a gem. Easily one of the most quintessential E Street Band songs, Tenth Avenue Freeze Out is a straight-up dance song that gives everyone a chance to shine. 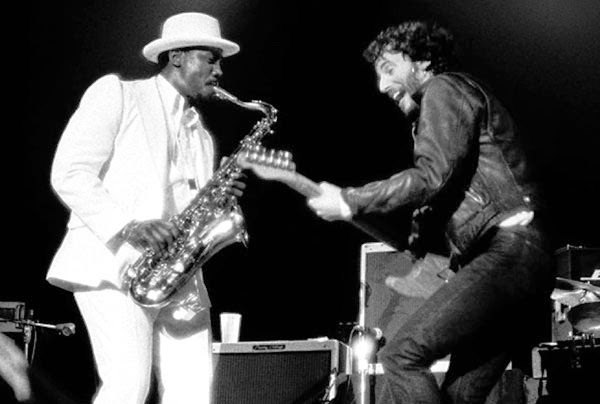 It gained added relevance after Clemons’ death and allowed Springsteen (and us) to come to terms with this loss. I’m filling the back half with epics from The Wild, The Innocent, and The E Street Shuffle. While I wouldn’t list it as a favorite album, its highs are way up there. Kitty’s Back is a great slow burn tune that ends in a crescendo of excitement. Seeing it live is quite a treat. 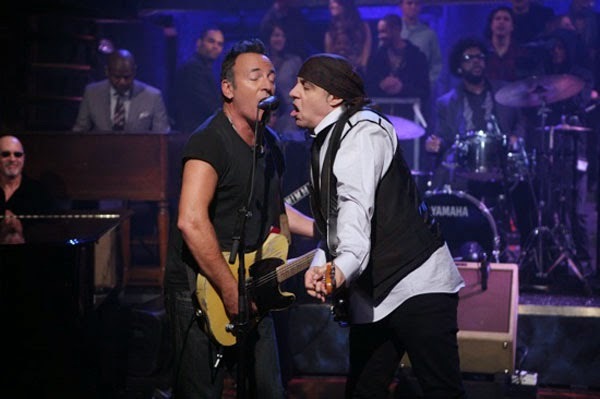 Following Born to Run's success, Springsteen was embroiled in a lawsuit with his former manager and wasn’t able to record. The effects of this experience permeate through Darkness on the Edge of Town, and there’s a real sadness to the material. A prime example is Racing in the Street, which offers a gloomy look at a guy struggling to stay afloat. Despite only placing one song in this main list, my appreciation for the Born in the USA album has grown considerably over the past few years. It’s such a great pop album filled with anthems that incorporate Bruce’s rare talents. My favorite track is No Surrender, which nearly didn’t make the final cut. It’s a rousing sing-along that’s a nearly perfect driving song. We’re rolling through the classics at this point, and few rouse up the crowd more than this choice. The harmonica fits perfectly with this mid-tempo tune, which describes the frustrations of a working class hero. The imagery is some of Springsteen’s best, and the character stays upbeat despite the challenges. While the attention goes to the hits from Born to Run, the secret weapon of that album is Backstreets. The fourth track comes right before the title song and delivers a less promising take on the future. The narrator describes exciting times in the dark of the night, yet there’s sadness in every line. The piano melody and Springsteen’s emotional vocals say all we need to know about where this story is heading. Inspired by the life of Bruce’s sister, this somber tune feels so personal. The intimate story of a teen couple whose lives are changed by a pregnancy is brutally honest. When family takes over and the economy goes bad, the excitement of youth is just a fond memory. One of the most inspiring performances of the Live in New York City special was seeing the entire Madison Square Garden crowd pumping their fists and singing along to this upbeat song. Few things are more fun than joining a mass of strangers to shout “when I’m out in the street!” at the top of our lungs. No matter what’s happening during the work week, we’ll all be stars once the weekend arrives. There are many versions of this gem floating around, including the full band song on the Darkness set. My choice is the solo piano song on 18 Tracks. Written during Springsteen’s legal battles in the ‘70s, The Promise is filled with disappointment. It references the more hopeful Thunder Road, yet there’s little sense that good things are on the way. Many fans believe Nebraska is Springsteen’s best work, and it’s hard to argue too strongly against that idea. Even so, only a few individual songs rank up high for me. Atlantic City is an exception and works brilliantly in the full-band format. The raw feelings of the original recording are still there, but they spring to life with the wider instrumentation beyond it. What more can I say about Born to Run? I’ve seen it performed in concert so many times, yet I still pump my fist and sing along like it’s the first time. Springsteen took his shot at greatness and made it, and this song was his ticket to the big time. Watching him tinker with producing it in the documentary Wings Over Wheels is fascinating and shows how much he realized its importance. The result is one of the greatest rock songs of all time. It’s a town full of losers, and I’m pulling out here to win! Here’s another song that embodies what makes him legendary. It uses his classic imagery of cars, young lovers, and the hopes that life will get better. The harmonica opens this tale and bring a classic feel that eventually gives way to a full-band crescendo of greatness. I want to find one place, I want to spit in the face of these badlands! This Darkness opener comes alive in the live setting. Springsteen plays it at nearly every show, and it can crank up the energy at the start or bring the house down at the end. It remains one of his most engaging anthems despite the hardships in it. No matter what obstacles he faces, the narrator is going to push until he take charge of his life once again. Born to Run remains my favorite Springsteen album, and it closes with an epic tale that contains everything that I love about his music. Its ambitions are off the charts, yet it hits right at the heart and doesn’t feel pretentious. When Clemons’ solo takes over and leads us into the final verse and chorus, it’s such a rousing finish to a record that is essentially perfect. This song is number one by a mile. What are your favorite Springsteen songs? Where did I miss with this list? I can't argue too much against the claim that the recent work is over produced. A lot of those songs work great live, but the studio versions aren't as sharp. It's no coincidence that I only have one song on the list from the 15 years. Nice picks! It's Hard to Be a Saint is a great choice from the first album, and The Wrestler is one of his stronger recent songs. Great picks here Dan, not a weak track among them. I think I mentioned a while ago how drawn I am to "I'm on Fire." God, I just love that song. Alex, "I'm on Fire" is a great song and has really grown on me over the years. I can totally understand why you love it. Dan, I'm impressed you had the wherewithal to actually concoct this list. 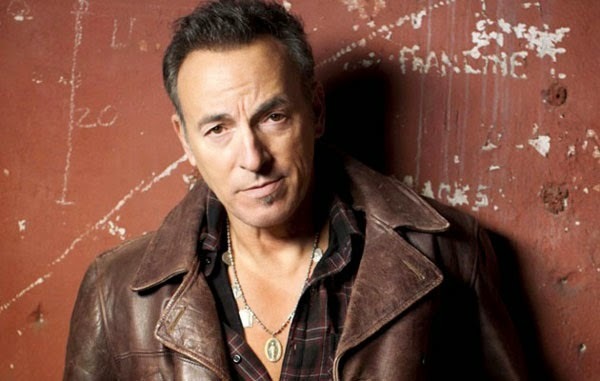 As you know, and allude to, figuring out your 20 favorite Springsteen songs is not easy. I always just tell people I have, like, 250 favorite Springsteen songs. Love the choice of "Jungleland" for #1, though. It's really the bridge, isn't it, from the early romantic epic period to the more blue collar Midwestern Bruce. Hugely important to his canon and just an incredible song. If pressed, I usually say "Racing in the Street" is my #1. 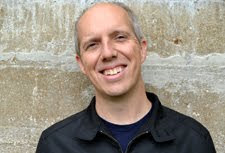 But in the last several years, gosh, I've really loved "Living Proof" (the Plugged version) and "I'm Going Down" and "Dry Lightning" and "Wrecking Ball" and his version of "When the Saints Go Marching In". I love how he flipped that last one into an elegy. Nick, I feel like Born to Run on the whole is the bridge between his early work and albums like Darkness and Nebraska. Of course, there are exceptions, particularly with some of the pop songs on The River. Jungleland is definitely a great example. I'm Going Down and Living Proof are great choices, and I like what he does with When the Saints Go Marching In. I think Wrecking Ball is the best song of his past few albums. It was so difficult to figure out this list. Songs like Thundercrack were on the top 20 at first and didn't even make the honorable mentions. There are just too many options, and I could easily list a top 50 or more without any problems. Glad you enjoyed it!